^ See Acts 25:10–12 (NRSV translation): "Paul said, 'I am appealing to the emperor's tribunal; this is where I should be tried. I have done no wrong to the Jews, as you very well know.11Now if I am in the wrong and have committed something for which I deserve to die, I am not trying to escape death; but if there is nothing to their charges against me, no one can turn me over to them. I appeal to the emperor.' 12Then Festus, after he had conferred with his council, replied, 'You have appealed to the emperor; to the emperor you will go.'" ^ 原文："be reputed a betrayer of the liberties of England, and an enemy to the same"
^ 原文："May it please your Majesty, I have neither eyes to see nor tongue to speak in this place but as the House is pleased to direct me, whose servant I am here." ^ 原文："During the negotiations with the King, he manifested a fixed resolution to do all that could be done to make the best of the opportunity the country then enjoyed, of securing to itself the blessings of liberty." ^ 原文："a more prodigious treason than any that had been perfected before; because the former quarrel was that Englishmen might rule over one another; this to vassalise us to a foreign nation." ^ 原文："for accomplishment of such his designs, and for the protecting of himself and his adherents in his and their wicked practices, to the same ends hath traitorously and maliciously levied war against the present Parliament, and the people therein represented..."
^ 原文："wicked designs, wars, and evil practices of him, the said Charles Stuart, have been, and are carried on for the advancement and upholding of a personal interest of will, power, and pretended prerogative to himself and his family, against the public interest, common right, liberty, justice, and peace of the people of this nation." ^ 原文："Then for the law of this land, I am no less confident, that no learned lawyer will affirm that an impeachment can lie against the King, they all going in his name: and one of their maxims is, that the King can do no wrong." ^ 原文："I would know by what power I am called hither, by what lawful authority...?" 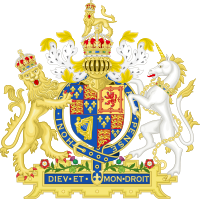 ^ 原文："...the fundamental proposition that the King of England was not a person, but an office whose every occupant was entrusted with a limited power to govern 'by and according to the laws of the land and not otherwise'." ^ 原文："the season is so sharp as probably may make me shake, which some observers may imagine proceeds from fear. I would have no such imputation." ^ 原文："but I must tell you that their liberty and freedom consists in having government.... It is not their having a share in the government; that is nothing appertaining unto them. A subject and a sovereign are clean different things." ^ 原文："I shall go from a corruptible to an incorruptible Crown, where no disturbance can be." 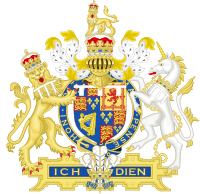 ^ 1.0 1.1 1.2 1.3 1.4 Charles I (r. 1625–49). Royal.gov.uk. [2008年4月20日]. ^ Queen Henrietta Maria, 1609–69. British-civil-wars.co.uk. [2008年4月20日]. ^ Cust 2005，第2页; Weir 1996，第252页. ^ Carlton 1995，第3页; Gregg 1981，第9页. ^ 9.0 9.1 Gregg 1981, p. 11. ^ Gregg 1981, p. 12. ^ Gregg 1981，第16页; Hibbert 1968，第22页. ^ 13.0 13.1 Carlton 1995, p. 16. ^ 14.0 14.1 Gregg 1981, p. 22. ^ Gregg 1981，第18–19页; Hibbert 1968，第21–23页. ^ Hibbert 1968，第49页; Howat 1974，第26–28页. ^ Gregg 1981，第63页; Howat 1974，第27–28页; Kenyon 1978，第79页. ^ Cust 2005，第5页; Hibbert 1968，第49–50页. ^ Gregg 1981，第67–68页; Hibbert 1968，第49–50页. ^ Carlton 1995，第33页; Gregg 1981，第68页. ^ Cust 2005，第4页; Hibbert 1968，第30–32页. ^ Carlton 1995，第34–38页; Cust 2005，第32–34页; Gregg 1981，第78–82页; Quintrell 1993，第11页. ^ Gregg 1981，第87–89页; Quintrell 1993，第11页; Sharpe 1992，第5页. ^ Carlton 1995，第42–43页; Cust 2005，第34–35页. ^ Carlton 1995，第46页; Cust 2005，第31页; Gregg 1981，第90页; Hibbert 1968，第63页; Quintrell 1993，第11页; Sharpe 1992，第5–6页. ^ Carlton 1995，第47页; Cust 2005，第36–38页; Gregg 1981，第94页; Sharpe 1992，第6页. ^ Carlton 1995，第52页; Gregg 1981，第99页; Hibbert 1968，第64页. ^ Carlton 1995，第56页; Gregg 1981，第124页; Kenyon 1978，第92页; Schama 2001，第65页. ^ Info Please: Charle I's Early Life. Infoplease.com. [20 April 2008]. ^ Smith 1999, p. 116. 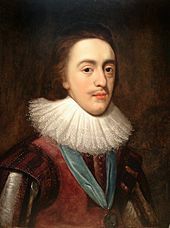 ^ Info Please: Charles I's Reign. Infoplease.com. [20 April 2008]. ^ M.C. Fissel, 'English Warfare 1511–1641' (London and New York, 2001) 78, 90, 256, 270–1; P. H. Wilson, 'Europe's Tragedy: A History of the Thirty Years War (2009), 321–2; K. Sharpe 'The Personal Rule of Charles I' (New Haven and London, 1992), 8, 353–55, 509–26, 549–53, 825–7. A. Grosjean, 'An Unofficial Alliance: Scotland and Sweden 1569–1654' (Leiden and Boston, 2003), 55–62, 88–95. ^ Vindiciae Contra Tyrannos, edited by George Garnett, Cambridge, 1994. ^ Archbishop William Laud, 1573–1645. British-civil-wars.co.uk. [24 April 2008]. ^ William Laud. Nndb.com. [24 April 2008]. ^ C. Hibbard, Charles I and the Popish Plot (Chapel Hill, NC, 1983), 131–5; Sharpe, 953; Boys, 248-25. ^ Smith 1984, p. 278. ^ 108.0 108.1 Smith 1999, p. 123. ^ Sparrow, Andrew. Some predecessors kept their nerve, others lost their heads. The Daily Telegraph (UK). 28 October 2000 [3 June 2009]. ^ 135.0 135.1 135.2 135.3 King Charles I. Luminarium Encyclopedia. [8 April 2010]. 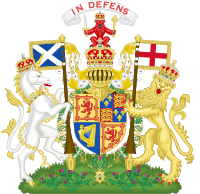 ^ Info Please: Charles I's Civil War. Infoplease.com. [20 April 2008]. ^ Sparks, Jared. Lives of Anthony Wayne and Sir Henry Vane. The Library of American Biography 4. Boston: Hilliard, Gray, and Co. 1835. ^ 146.0 146.1 146.2 Samuel Rawson Gardiner (ed.). The Charge against the King. The Constitutional Documents of the Puritan Revolution 1625–1660. Oxford University Press. 1906 [8 April 2010]. ^ Samuel Charles Carlton. Going to the Wars: the experience of the British Civil Wars, 1638–1651. Oxford University Press. 1992 [8 April 2010]. ^ Samuel Rawson Gardiner (ed.). The King's reasons for declining the jurisdiction of the High Court of Justice. The Constitutional Documents of the Puritan Revolution 1625–1660. Oxford University Press. 1906 [8 April 2010]. ^ Selections from the Trial and Execution of Col. Daniel Axtell in October 1660. Axtell Family. [27 October 2008]. ^ 162.0 162.1 162.2 162.3 Weir 1996, p. 252. ^ Edwards 1999，第160页; Gregg 1981，第436, 440页. ^ 166.0 166.1 Cokayne，Gibbs & Doubleday（1913），第445页; Weir 1996，第252页. ^ Cokayne，Gibbs & Doubleday 1913, p. 446. ^ 172.0 172.1 172.2 172.3 172.4 172.5 172.6 172.7 Louda & Maclagan 1999, pp. 27, 50. Ashley, Maurice. 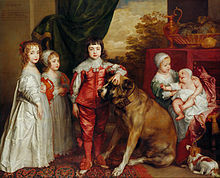 Charles I and Cromwell. London: Methuen. 1987. ISBN 978-0-413-16270-0. 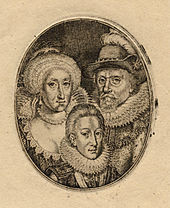 Hibbard, Caroline M. Charles I and the Popish Plot. Chapel Hill: University of North Carolina Press. 1983. ISBN 0-8078-1520-9. 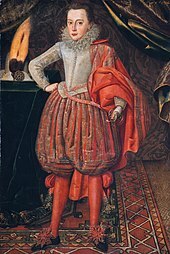 Kishlansky, Mark A. Charles I: A Case of Mistaken Identity. Past and Present 189. 2005: 41–80. doi:10.1093/pastj/gti027. Lockyer, Roger (编). The Trial of Charles I. London: Folio Society. 1959. Reeve, L. J. Charles I and the Road to Personal Rule. Cambridge: Cambridge University Press. 1989. ISBN 0-521-52133-5. Wedgwood, Cicely Veronica. 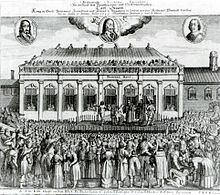 The Great Rebellion: The King's Peace, 1637–1641. London: Collins. 1955. Wedgwood, Cicely Veronica. The Great Rebellion: The King's War, 1641–1647. London: Collins. 1958. Wedgwood, Cicely Veronica. 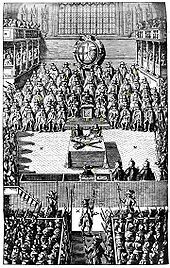 A Coffin for King Charles: The Trial and Execution of Charles I. London: Macmillan. 1964.